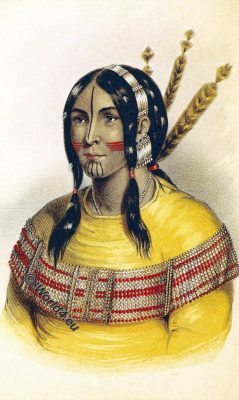 Chief Dakota Yankton costume. Mandan squaw costume. 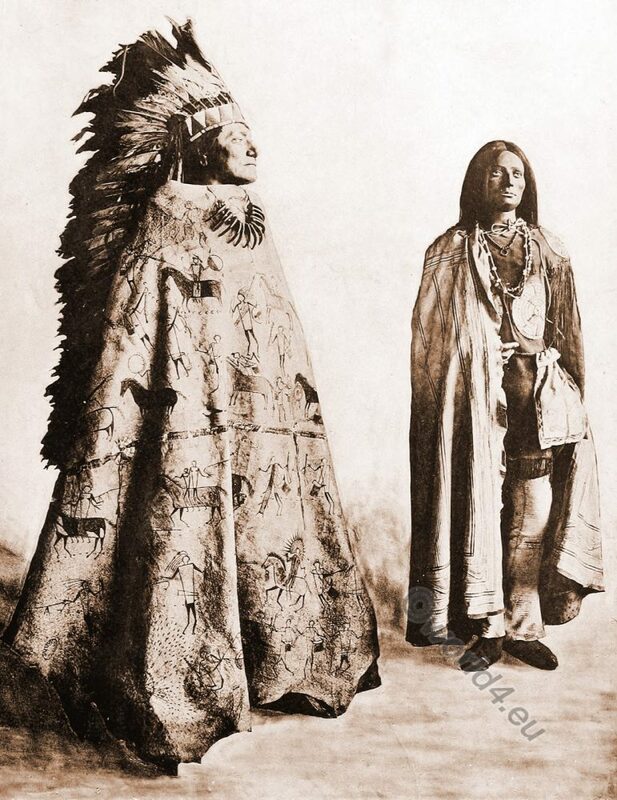 This entry was posted in 1922, 20s, 20th Century, Native American, North America and tagged Native american dress, Pictures of Indian Natives on 4/27/18 by world4. 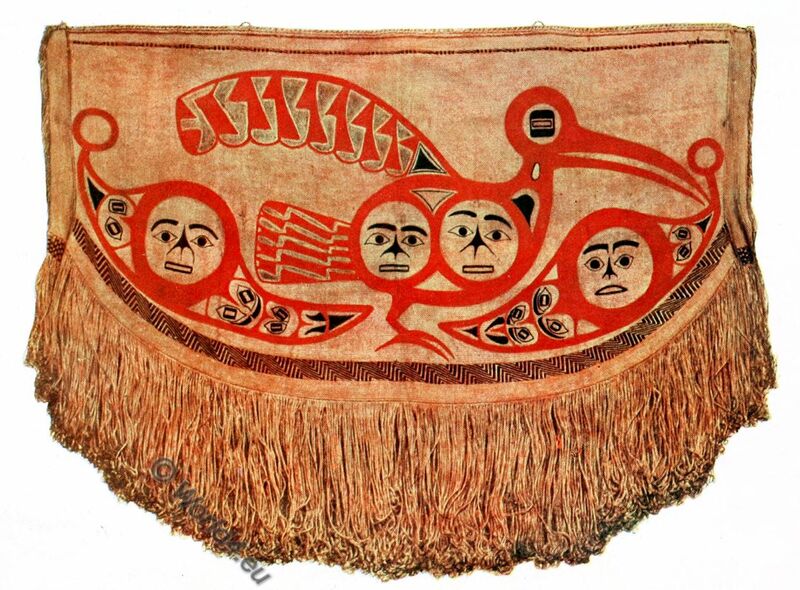 Robe from the Chilkat country, NW. Coast of America. This entry was posted in 19th Century, Alaska, Native American, North America and tagged Native american dress, Traditional Alaska costumes on 10/25/17 by world4. 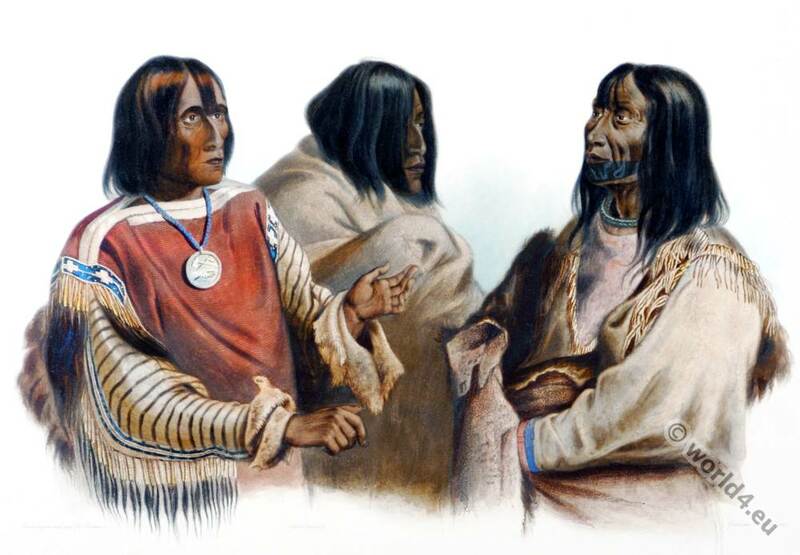 Blood Indian, Piekann, Koutani. 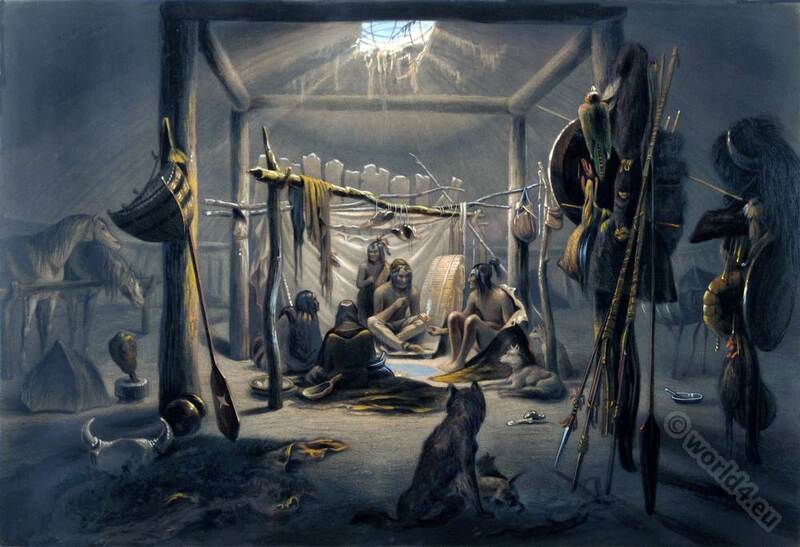 Blackfeet tribes. Chief of the Blood Indians. 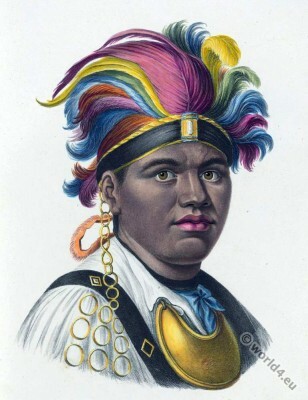 War chief of the Piekann Indians. Koutani Indian. Chief of the Blood Indian. War chief of the Piekann Indians. 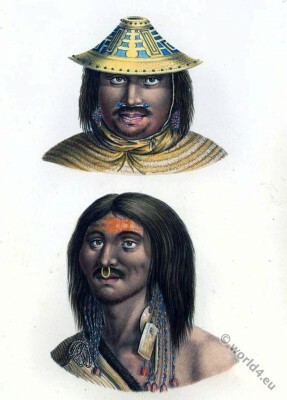 Koutani Indian. 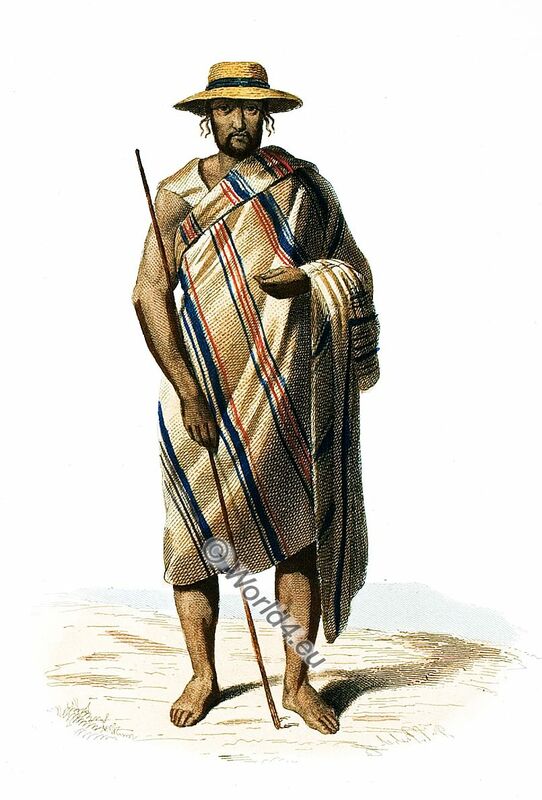 This entry was posted in 1833, 19th Century, Canada, North America and tagged Karl Bodmer, Native american dress, North American costumes on 10/23/15 by world4. Fort McKenzie. Assiniboine warriors and Blackfeet. 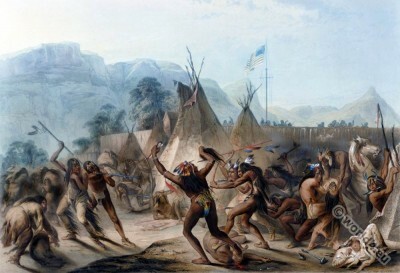 Fort McKenzie August 28th 1833. Battle between Assiniboine warriors and Blackfeet in front of Fort McKenzie on the Upper Missouri River. This entry was posted in 1833, 19th Century, Native American, North America and tagged Karl Bodmer, Native american dress, North American costumes on 10/18/15 by world4. Dakota woman and Assiniboin girl. Dakota Indianerin und Assiniboin Mädchen. Indienne Dakota et jeune fille Assiniboin. 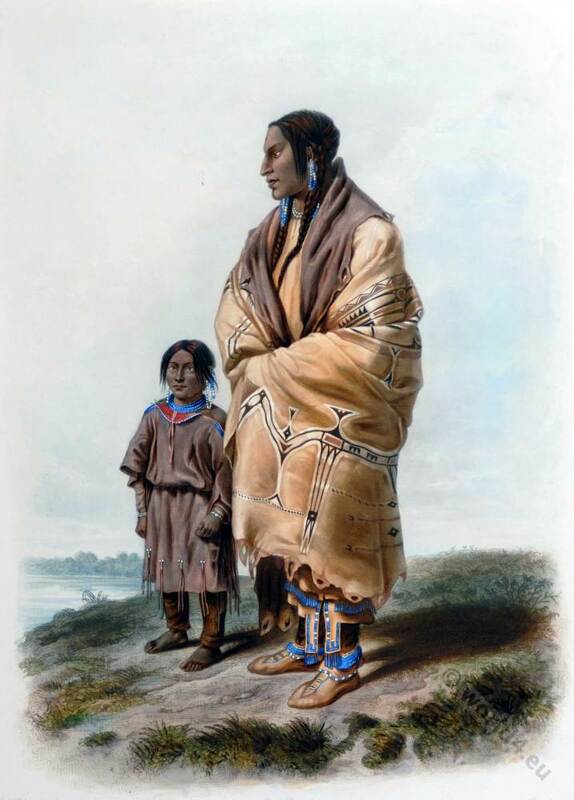 This entry was posted in 1841, 19th Century, Native American, North America and tagged Karl Bodmer, Native american dress, North American costumes on 10/10/15 by world4.